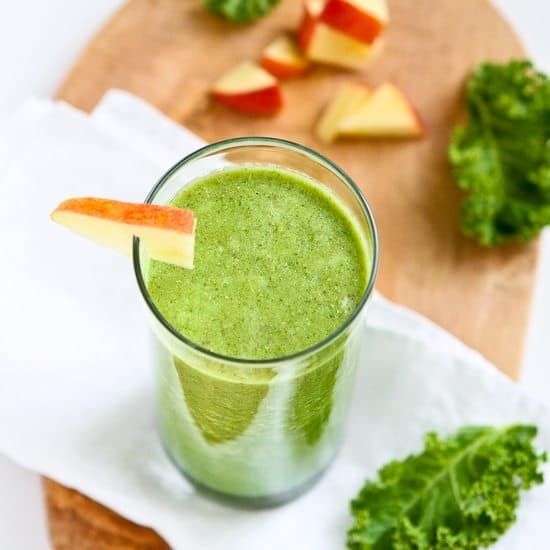 Whip up this healthy, vegan kale and apple green smoothie in minutes. It’s a great way to start the day or cure the afternoon munchies. I haven’t figured out if it’s my kids’ way of avoiding bedtime or if they really are excited about commandeering the blender, but smoothies have become a nighttime ritual at our house. My older son comes in from soccer practice and starts pulling out the yogurt, frozen berries, bananas, flax seed and milk. Within minutes, we each have a glass of a healthy berry concoction in our hands. No complaints here! 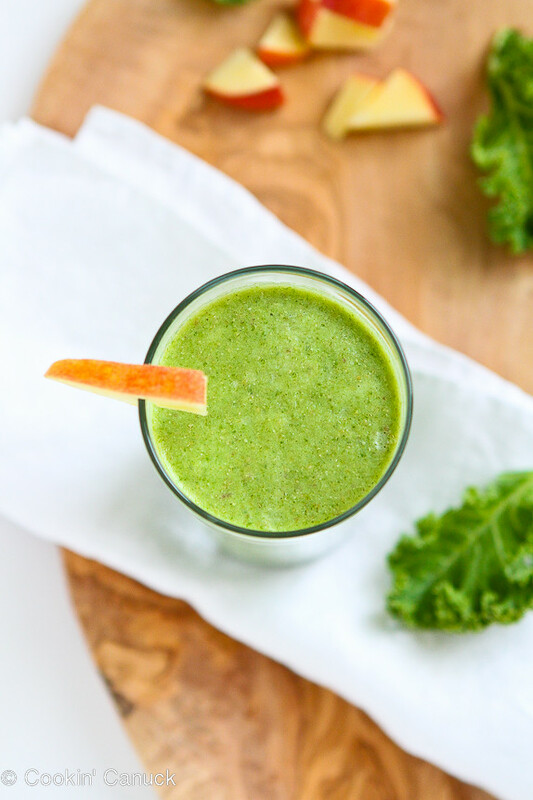 Our garden was full of kale in the summertime and we really got into making green smoothies. 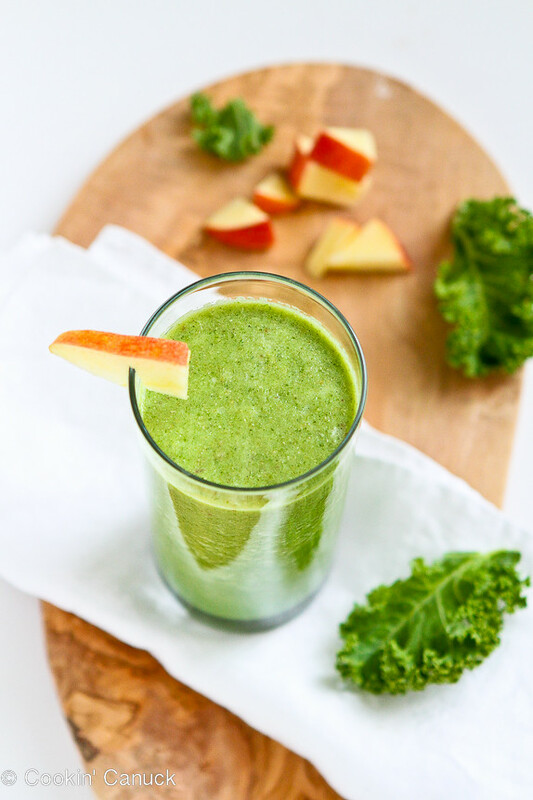 We mixed the kale with everything you can think of…bananas, celery, berries, apples. That is, when I wasn’t gulping down my favorite Healthy Coffee Banana Smoothie Recipe. Caffeine, anyone? Now that the garden has gone to bed, I’ve been buying kale at the grocery store for kale salads and some fiber-packed green smoothies. 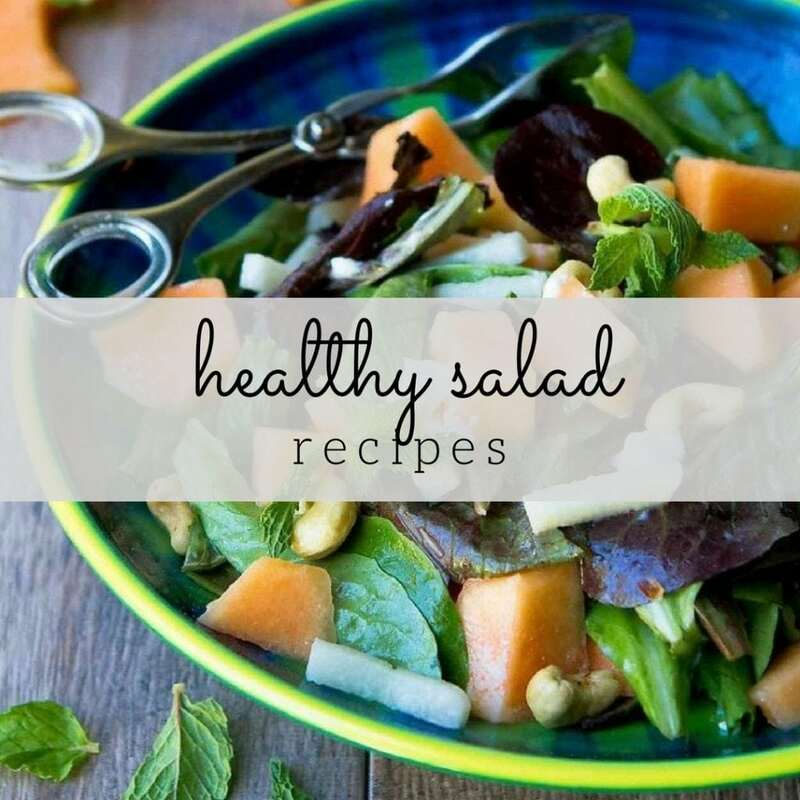 This recipe makes one smoothie, but can easily be doubled or tripled. There are only 125 calories in each smoothie, along with 6 grams of fiber and 4.2 grams of protein. 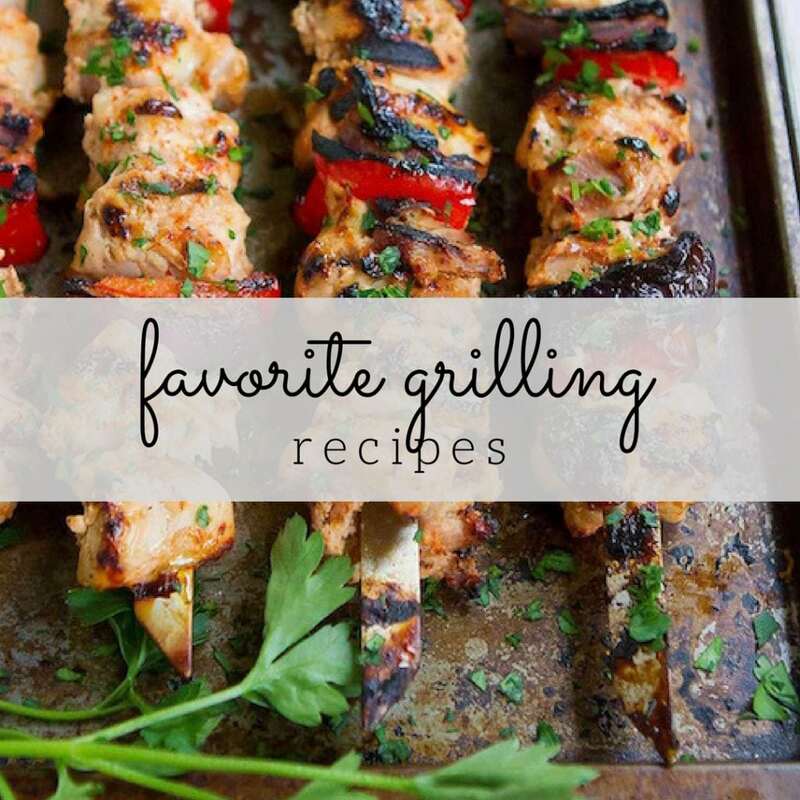 If you want to make this more filling, add some protein powder. You could even throw in a little banana. Just make sure to add more liquid to compensate for the extra bulk. 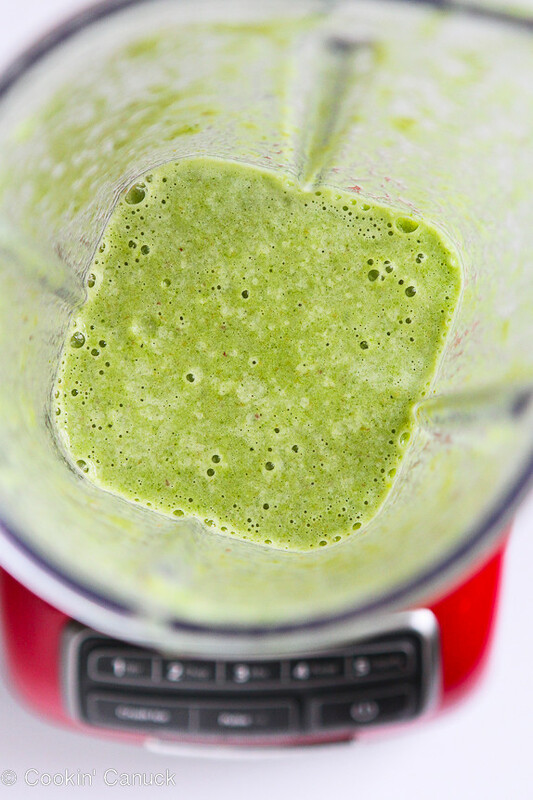 Place the almond milk, kale, celery, apple, ground flax seed and ice into a blender. Blend until smooth. Taste and add agave nectar if you would like a sweeter smoothie. Serve. 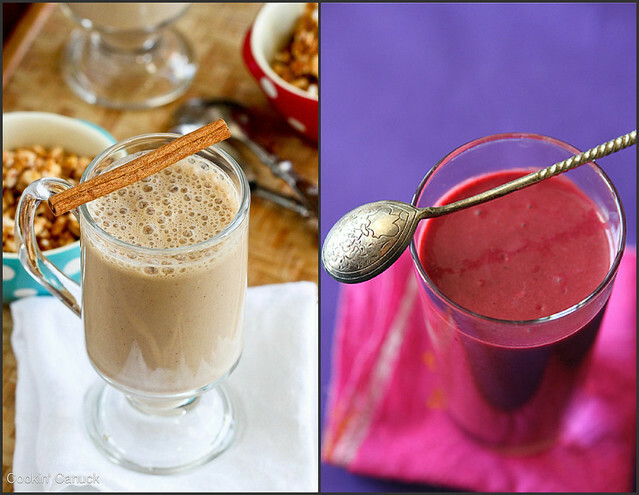 Thanks for linking to my pumpkin chai smoothie! 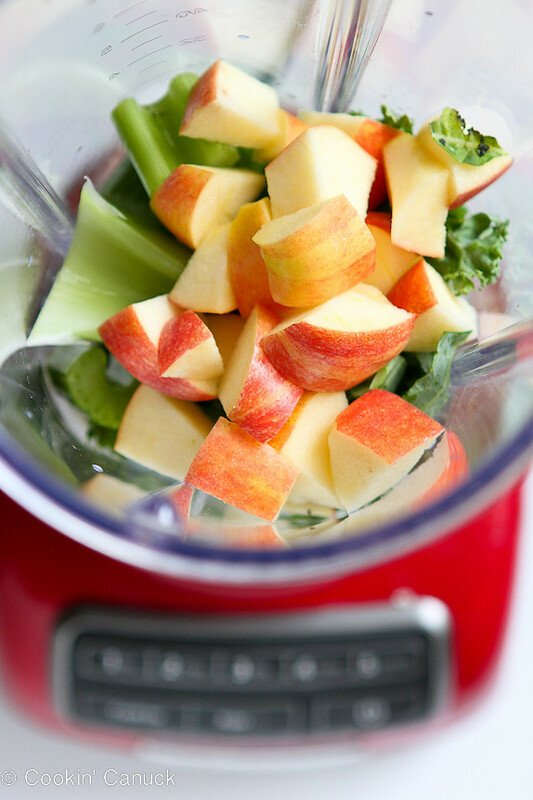 This looks delish and I love the idea of apple in a smoothie. Definitely going to try it out! What if I don’t have celery available? Will it still be good if I add banana instead? 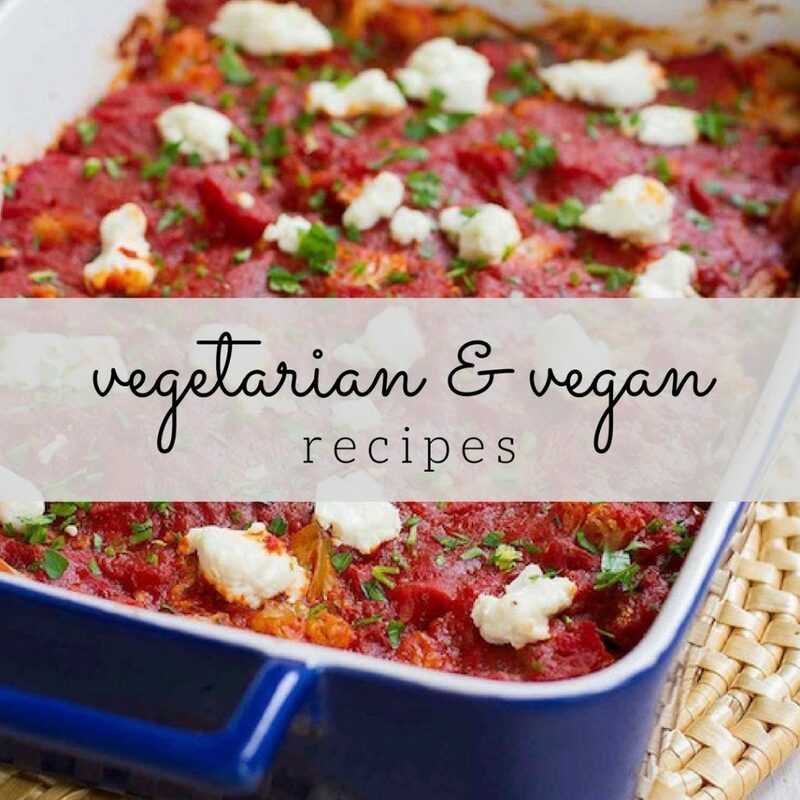 Also, can I use Chia seeds instead of flax seeds? I haven’t tried it with chia seeds, but I’d imagine it would be fine if you drink it right away. If they sit in liquid for too long, they tend to turn into more of a gel. Is there anything that I can replace the celery with? I’m allergic and I can’t have it..
Cucumber, jicama or zucchini would be great options! Smoothie’s are very versatile, so if you enjoy the flavor of the banana, that would work just fine. You may find that you have to adjust the amount of liquid.